Learn the beautiful names of Allah through Audio/Song with its translation and description. Because a good way to memorize Allah names is by Audio/Song. 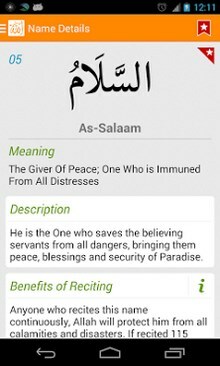 Listen to the audio and help yourself and your kids memorize Allah’s beautiful names with this one of a kind app. Please do provide your feedback and share this app with your friends.